1. The following Factors were responsible for the growth of Ghana Empire except ___. 3. ___ was the founder of the Mali Empire. 6. The following are the consequences of the fall of Songhai Empire except ___. 7. The wars with the brought the first Kanuri Empire to an end in 1470. 10. The following explains why West Africa was not explored until the 15th Century except ___. 11. The Fulani Jihad of Uthman Dan Fodio broke out in __. protectorate with Northern protectorate were pure based on ___. 17. The first constitution to be established in Nigeria was done by ___. 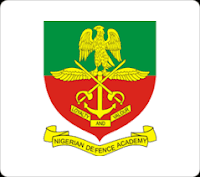 later became Nigerian Army in ___. 19. Joseph Chamberlain was in 1897 the ____. 21. The cardinal point of the colonial economy was based on ___. 23. All the following are concerns of Military History except the ___. 24. Warfare in ancient limes were motivated primarily by the need to ___. 25. The immediate objective of the Crusade was ___. 26. The immediate cause of World War I was ___. 17. The Yom Kippur War is otherwise known as the ___. 28. The instrument that was used to resolve the impasse during President Shehu Musa Yar •Adua's illness was known as the ___. 29. The first National Development Plan was from ___. 30, The Indigenization Decrees of 1972 and 1977 were meant to give more to the Nigerian people __. 31. The British Petroleum in Nigerian was nationalized by the Government of ____. 33. One of the best known military commanders in pre-colonial Africa was ___. 34. Clausewitz's famous book is titled ___. 36. The main value of Military History lies in the fact that it ___. 37. The Willink Commission of 1958 in Nigeria was among other things to ___. 38. The name of Osei Tutu is often associated with the ___.